Jim is a Member of SLO County Trasition Town Hub, Board Member and Treasurer of the non-profit Institute for Sustainable Living, and Board Member, Chief Financial Officer, and Resident of the Oak Creek Commons Cohousing Community and community volunteer supporting the SLO County Clean Energy Economy Coalition and several Cal Poly San Luis Obispo University SustainSLO Projects. These are all creative outlets for Jim's interests in fostering public education in permaculture and other community resilience-enhancing responses to the growing challenges of energy resource depletion, climate change and economic instability. His permaculture background includes Teacher Training and Permaculture Design Certification through the Permaculture Institute in 2012 and a second PDC with Santa Barbara City College / Quail Springs Permaculture Collaborative in 2009. His professional background included serving as Executive Director (1990-2002) and Senior Advisor (2002-2012) with the University of California's Institute for Energy Efficiency and Energy Energy Efficiency Program Director (1978-1990) with teh New York State Energy Authority. His Education includes a PhD in Applied Mathematics from Columbia University, an MBA from Rensselaer Polytechnic Institute, an MSEE from MIT and BSEE from Lehigh University. Teresa (aka "Tree") has firsthand experience in permaculture, classroom teaching, Garden Based Learning (GBL) in school gardens and nature based education. She has put together a career that combines her love for children and their education with her love for the planet. She is the CREEC Network Coordinator at the San Luis Obispo County Office of Education where she serves as the clearinghouse for environmental education curriculum and green schools throughout Region 8 (SLO, SB, Kern and Ventura Counties). She connects kids to nature in the Laureate School Garden wher she is the Life Lab teacher. She also serves as the Chairperson of the GBL committee with the San Luis Obispo Master Gardeners, conducting teacher trainings in the Sunshine Demonstration Garden, disseminating curriculum resources and providing consultations to local school gardens. She also has been both a classroom teacher and a Natural for outdoor schools, Teresa also spent many years as the Children's Education Coordinator at the kids' programs including a children's Food Forest, Native Peoples & Plants garden, solar fountain, and straw bale benches. 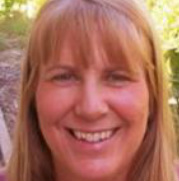 She currently hosts the SLO Permaculture Guild's listserve and Facebook page. She completed her PDC course with the Santa Barbara City College / Quail Springs Permaculture Collaborative in the summer of 2011. She attended the Natural Building Plastering workshop with Penny Livingston of Regenerative Design Institute, presented at the PDC classes Larry Santoyo of Earthflow offered in Los Osos, built a Food Forest with Jordan & Meleah of N'Credible Edibles and Josh Carmichael of Carmichael Environmental. Land steward, soil builder, garden tender, resourceress, Kathryn has been studying and practicing Permaculture Design since her certificate course in 1997.With a background in horticulture and environmental studies, she worked with Larry Santoyo and EarthFlow Design Works for over 10 years as an associate designer on various projects, as well as helped organize design courses and host workshops at her home. She continues to use her home as a living laboratory for ecosystem research and as a hub for a growing network of conscious creatives engaged in trade, barter and other alternative economies that support healthy, happy and merry lives. Greg Ellis currently works for the nonprofit One Cool Earth bringing to life a variety of projects in deep cooperation with the San Luis Obispo County community. Projects have focused on rural and urban forestry, community gardening, composting, horticulture, and environmental education. In addition, he has work experience in biomass assessment, grant-writing, life-cycle analysis, and organic agriculture. He holds a degree in poetry writing from Cal Poly San Luis Obispo. Greg completed his PDC Course with the Permaculture Institute in June 2012. Alex recently completed his undergraduate studies in Architecture at Cal Poly San Luis Obispo and is out in the world, embracing the endless possibilities before him. In his attempts to share the permaculture paradigm, he created the Poly Permaculture Club at Cal Poly and has collaboratively design and implemented many projects ranging in scale from urban backyards to community masterplanning in and around the California Central Coast. With his thesis work, Polytechnic Permaculture, Alex forged new headway in presenting permaculture as a model for the natural evolution of American universities. Alex's primary passion lies in cooperative design strategies and permaculture education. His background includes participating in and mentoring for the Sustainable Vocations program at Quail Springs Permaculture Farm, completing the world-renown internship at the Permaculture Research Institute of Australia, and taking the Permaculture Teacher Training Course from Kat Steele and Michael Kramer at Esalen Institute. He also is a Director on the Board of Quail Springs, a member of the SLO City Farm advisory Board, a member of the Sweetwater Collaborative advisory Board, and a staff member for the Sustainable Vocations development team. In addition to working with Ken Haggard at San Luis Sustainability Group, Alex is an independent Permaculture Design Consultant with notable projects such as the Hearst Ranch Permaculture Garden and the Cal Poly Food Forest. He dreams of one day starting a Permaculture University to equip a new generation of professionals and craftspeople with a holistic prospective to create positive change.